Hello everyone!! 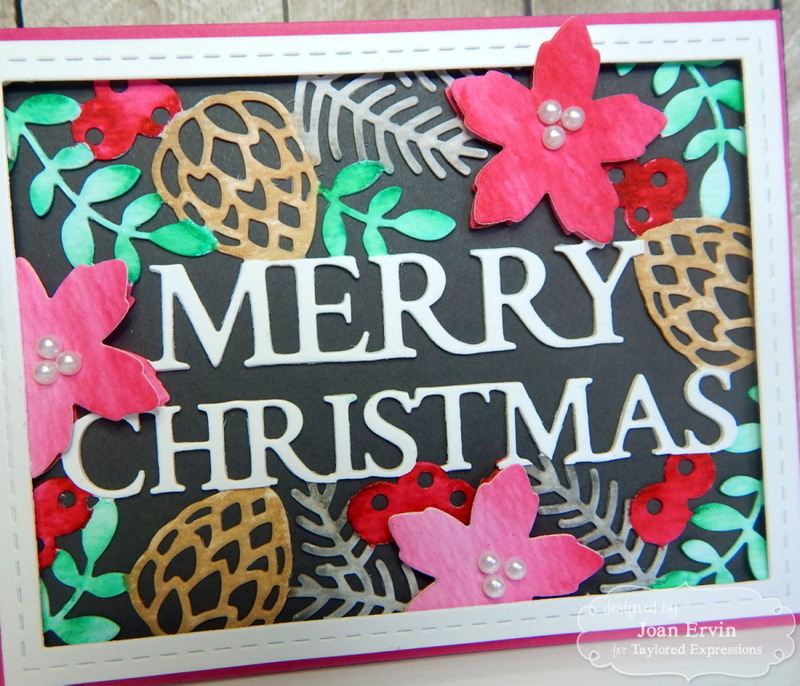 I have an easy Christmas card for you today....just some awesome TE dies, a piece of acetate, and some beautiful Christmas designer paper from Taylored Expressions. 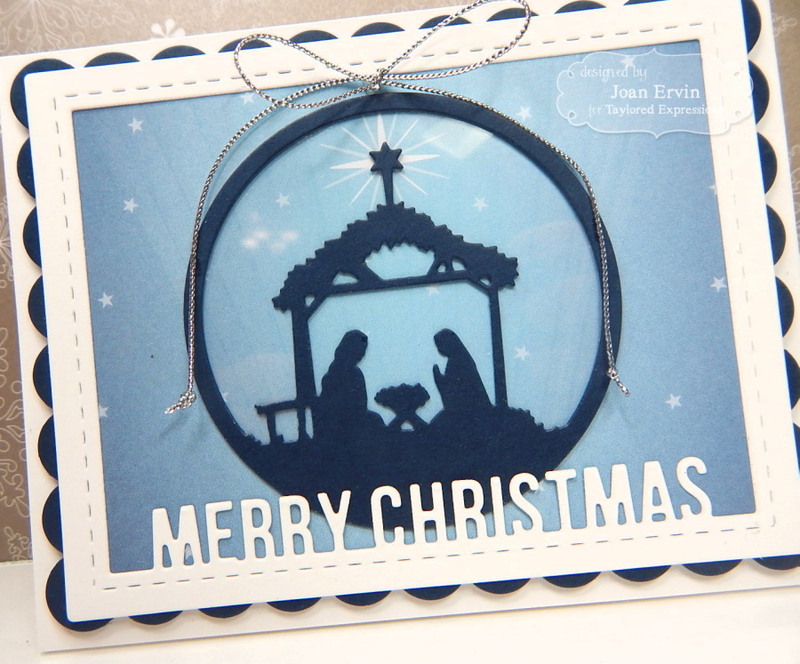 I cut the nativity scene out of Blue Corn cardstock with the Away in a Manger die, the frame was cut out of Sugar Cube cardstock with the Picture Perfect - Horizontal die, the Heat Resistant Acetate was cutout with the Stitched Circle Stacklets, and not pictured is the Blue Corn scalloped background that was cutout with the Frame in Frame 2 Cutting Plate (I added the scalloped diecut after I took the picture). 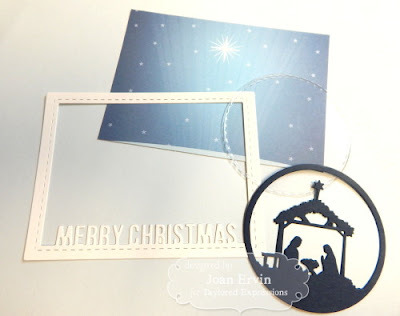 First, the acetate circle was adhered to the back of the nativity scene and after the star on the top was lined up with the star in the middle of the designer paper from the Build a Scene - Christmas 6x6 paper pack, it was adhered. 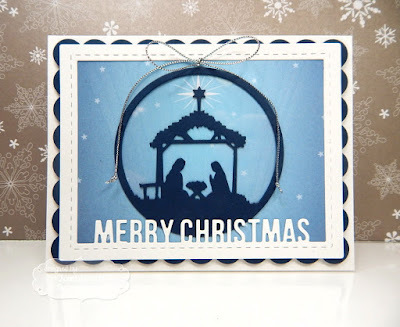 The acetate gives the nativity a glowy and unexpected look. The scalloped Blue Corn frame was adhered to the back of the Perfect Picture - Horizontal frame and then they were adhered to the background. A Metallic Twine - Silver bow was added as the finishing touch. Easy Peasy!! I now have 4 or 5 Christmas cards finished...yay me!!! Thanks for stopping by...have a great day!!! 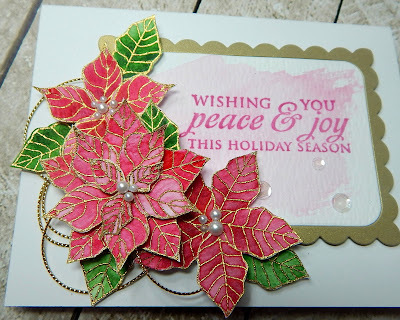 Taylored Expressions October Release: Merry Christmas to All!! Taylored Expressions!!!! That's right....all the fabulous new goodies can come live in your craft room!!! 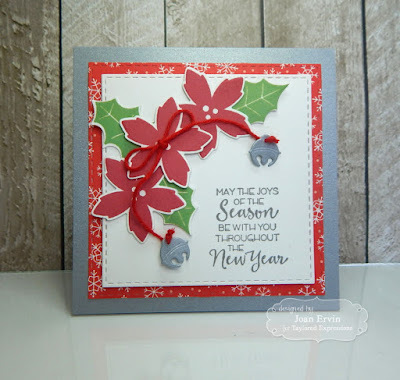 Be sure to stop by the TE blog, also, to see if you are a winner...hope this is your lucky day!!! My card features the Merry Christmas Cutting Plate and the Holiday Florals Dies. 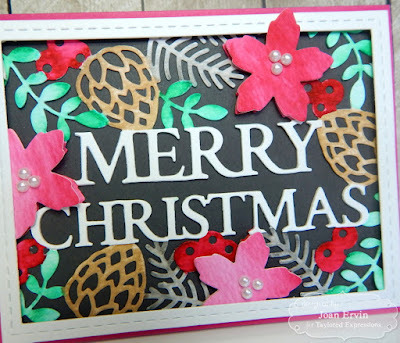 The Merry Christmas Cutting Plate was cutout of TE Premium Watercolor Paper and colored with Zig Clean Color Real Brush watercolor pens. 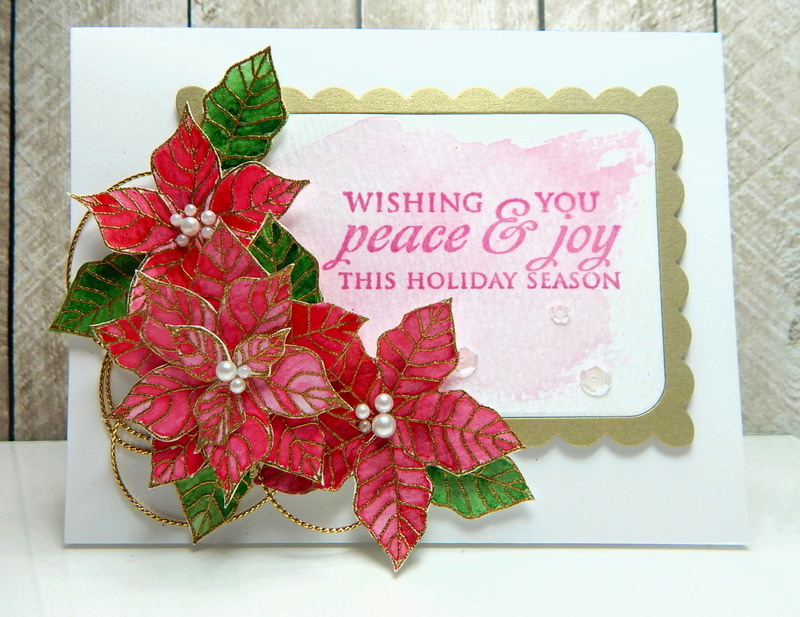 The poinsettias were cut out of the watercolor paper with the Holiday Floral Dies, colored with the Zig Clean Color pens, and popped up over the poinsettias on the cutting plate. 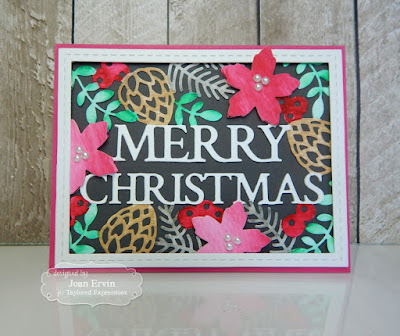 The watercolored cutting plate was adhered to the Poppy Seed background and then the Stitched Frame Stacklets 1 diecut was cut out of Sugar Cube cardstock and popped up around the edge with foam tape. To finish it off, pearls were added to the poinsettia centers. Thanks so much for joining us this week for the TE October Release...I hope you had a lot of fun and maybe found a little inspiration along the way!! Taylored Expressions October Sneak Peeks Day 3: Christmas and Birthday Fun!! 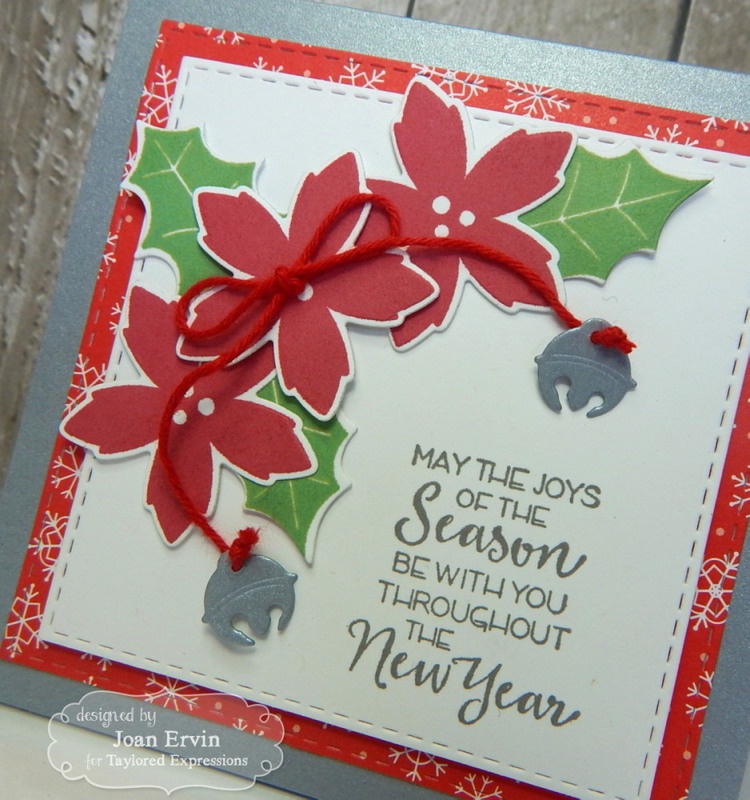 My first card features the super cute Little Bits - Jingle Bells...they were cut out of Metallic Neutrals - silver cardstock and tied to the ends of the twine bow. The poinsettias and leaves from the Holiday Florals set were stamped with Cherry Pop and Peapod ink, cutout with the Holiday Florals dies, and popped up with foam dots. The background Sugar Cube and Playful Patterns - Holiday 6x6 paper pack papers were cutout with the previously released Stitched Square Stacklets and the sentiment from the Ornamental set was stamped with Earl Grey ink. 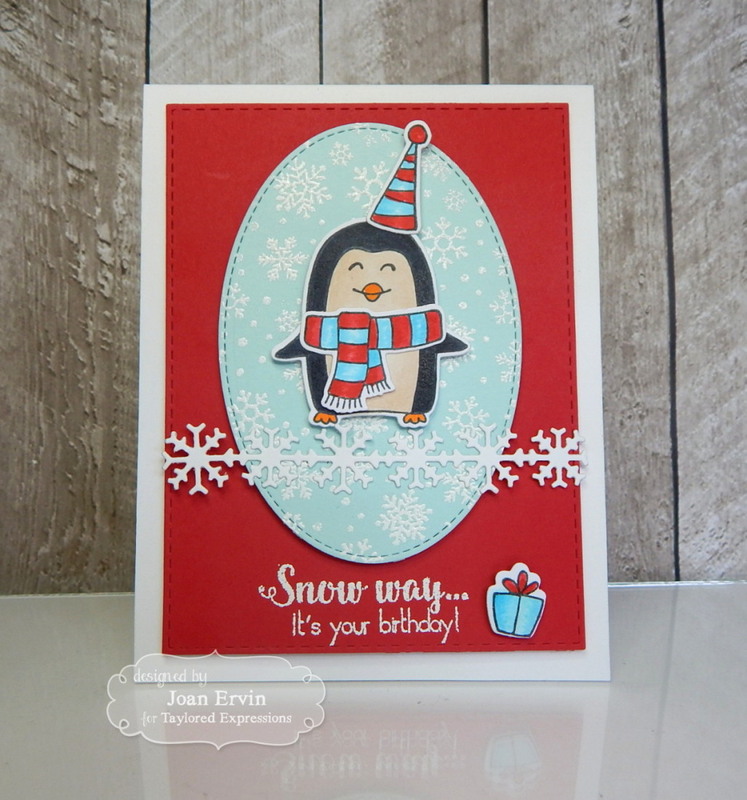 This fun winter birthday card was made for my grandson, Cole, who's birthday is just after Christmas. 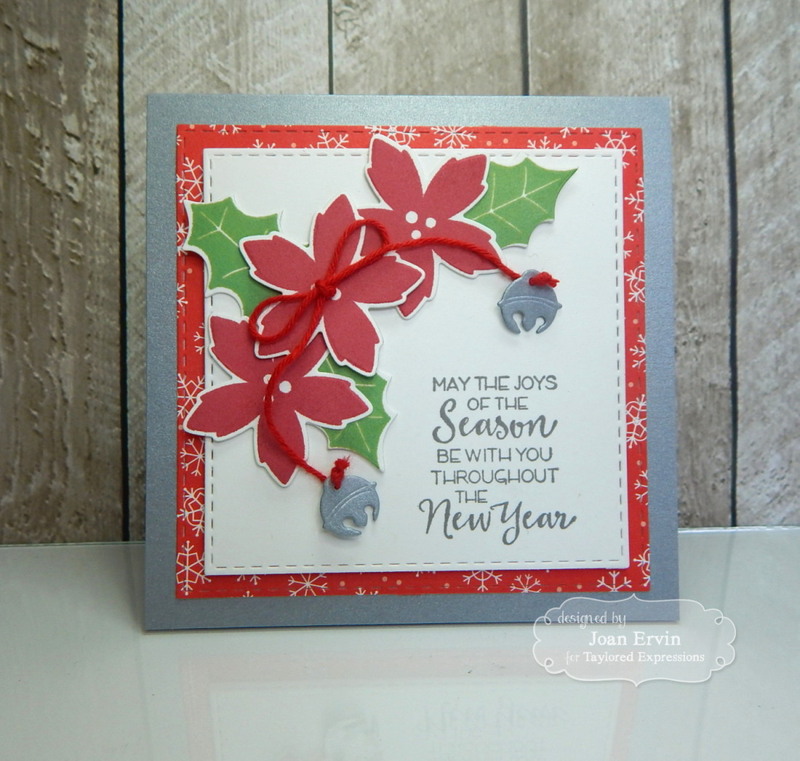 The snowflake border from the Skinny Mini Holiday Borders die set was cut out of Sugar Cube cardstock and adhered to the background. 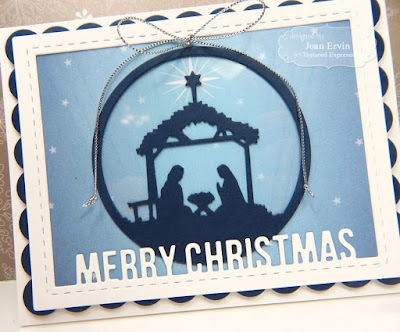 The Salt Water Taffy background was cutout with the Stitched Oval Stacklets, stamped with Sugar Cube ink, embossed with white embossing powder, and popped up on the Cherry Pop background that was cutout with the previously released Stitched Rectangle Stacklets. 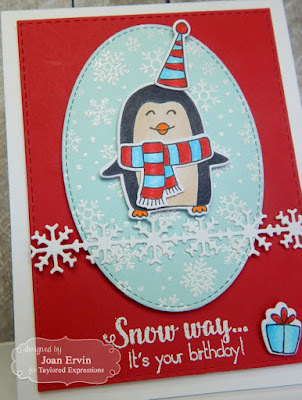 The cute little penguin and the present from the If Penguins Could Talk Stamp and Die Combo were stamped with Oreo ink, colored with Copics, cutout with the coordinating dies, and popped up with foam dots. To finish it off, the sentiment from the same set was stamped with Sugar Cube ink and embossed with white embossing powder. Thanks so much for stopping by today...If you would like to see more projects and new product info, please head on over to the TE Blog for a complete list of our participating designers!! Remember...the release is tomorrow...Thursday, October 6, at 7:00AM PST (9:00AM CST).